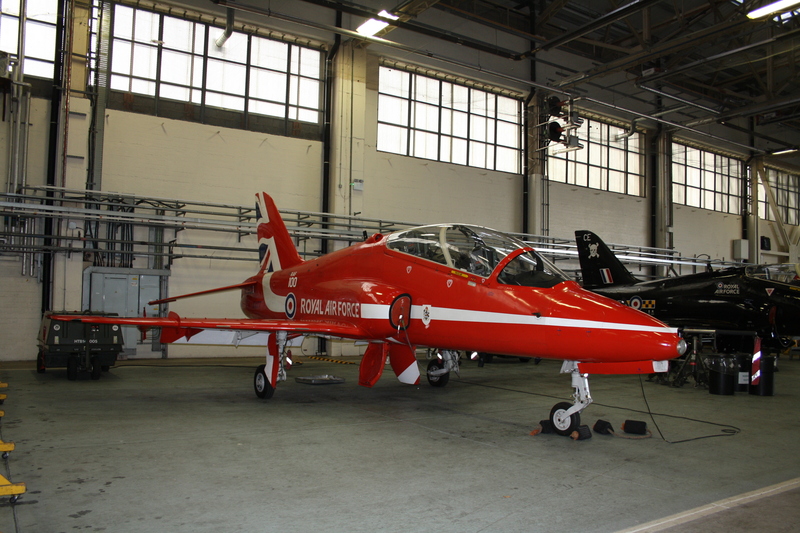 FLAG's second visit of the year was to RAF Scampton where our hosts were were the RAFAT - "The Red Arrows". 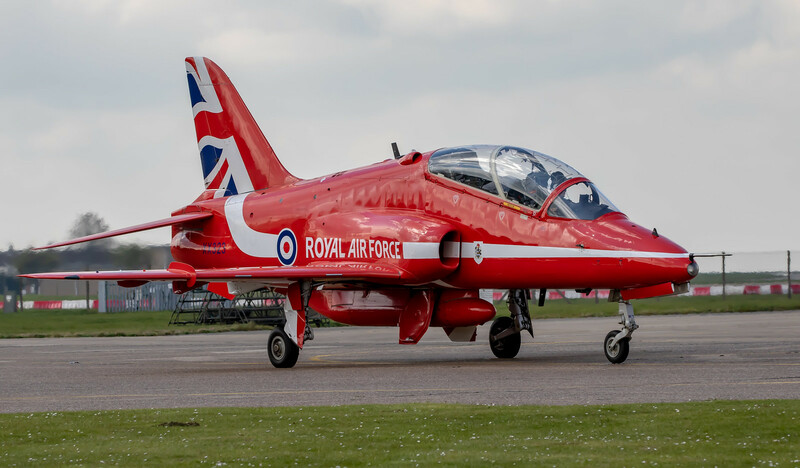 We first attended their pre flight briefing before moving outside to watch the practice sortie by "gypo" section in which coloured smoke was first used pre-season. We were given a commentary on the performance by Red 10, Sqn Ldr Adam Collins, which made the display very personal. Although members had watched the Reds many times as spectators at various events, seeing the performance from the inside was both special and a privilege. Our thanks to all the Reds for their hospitality and making it a very special day for FLAG members. Following our visit to the Red Arrows we adjourned to the nearby Dambusters Inn in Scampton village for an excellent lunch break. Apart from the excellent food and drink served at the pub, the landlord has created a fascinating museum of memorabilia devoted to 617 Sqn and Bomber Command. Well worth a visit for this alone. During the afternoon we were guests of Scampton Heritage Centre where our guides gave us a tour of all sections of the Centre. Our thanks to the guides who made the tour so informative and interesting. 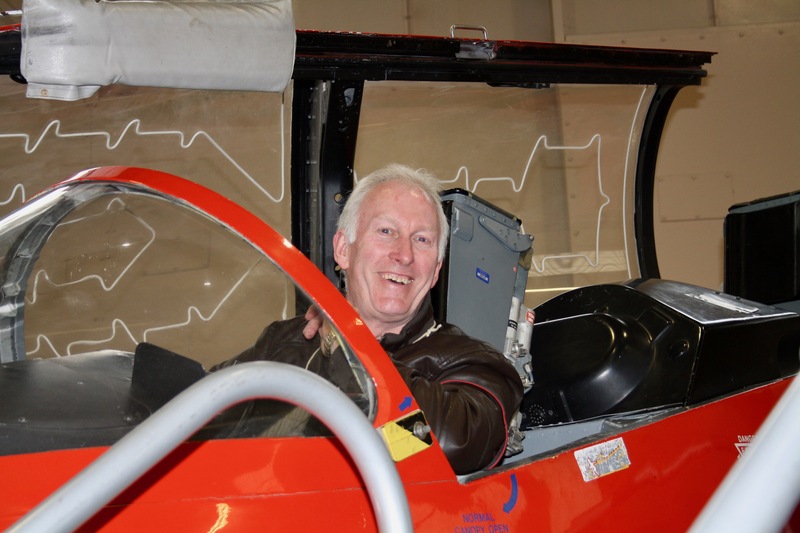 His vast experience has included flying and instructor tours in the UK as well as an exchange tour with the South African Air Force. James said: "I love flying the Hawk and have great guys to work with at a great location. It's a privilege to go flying." 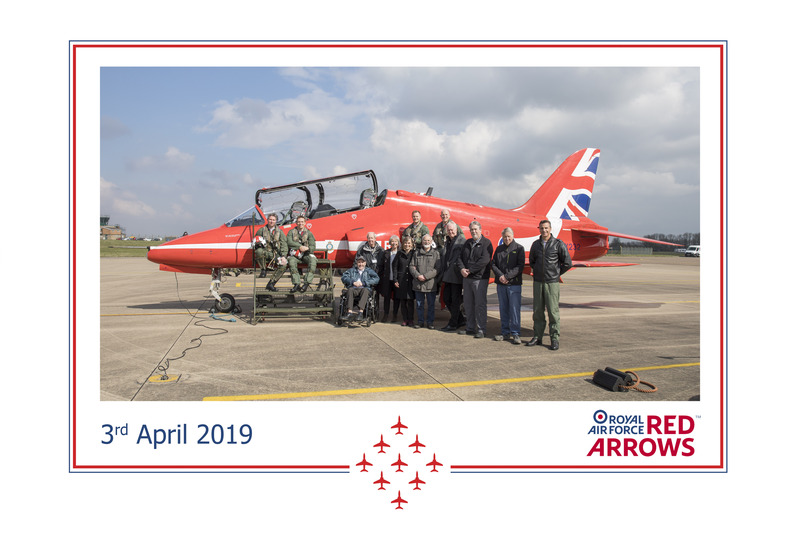 The February sunshine provided a suitable backdrop to our first visit of the year when FLAG members were guests of 29 Squadron and the BBMF at RAF Coningsby. 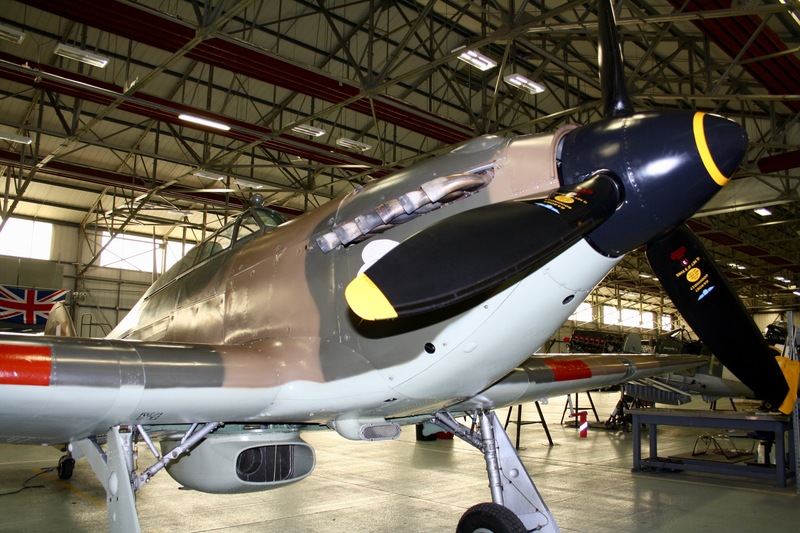 A briefing about OCU ops was followed by a guided close up of a Typhoon in their hanger. 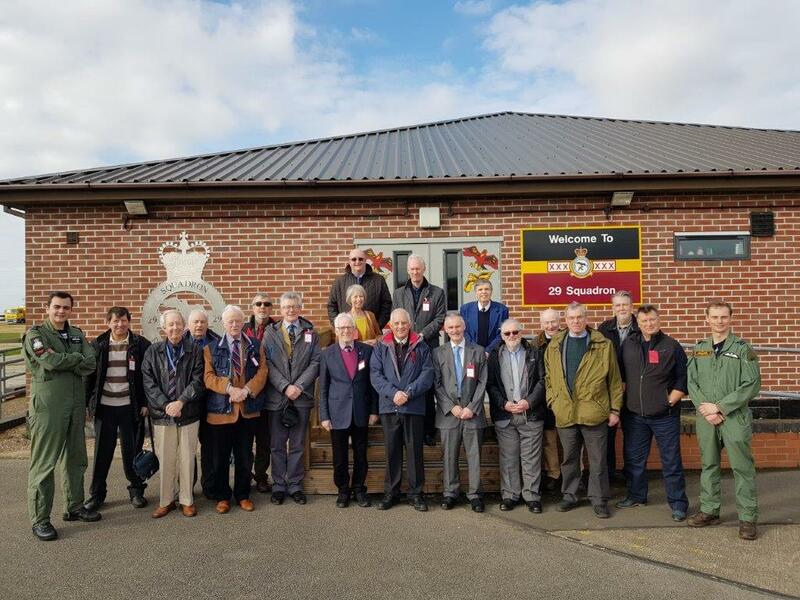 Following lunch in the Officers Mess we visited the BBMF hanger for a tour as well as watching the Dakota in the circuit prior to the Sheffield flypast the following day. 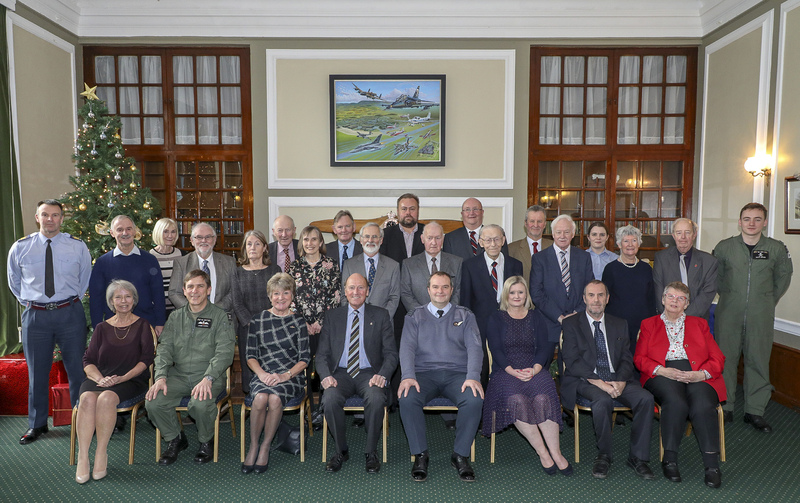 The 2018 FLAG year ended once again with our annual Christmas Lunch in the Officers Mess at RAF Leeming hosted by FLAG President, Air Vice Marshal (Rtd) Phil Roser. 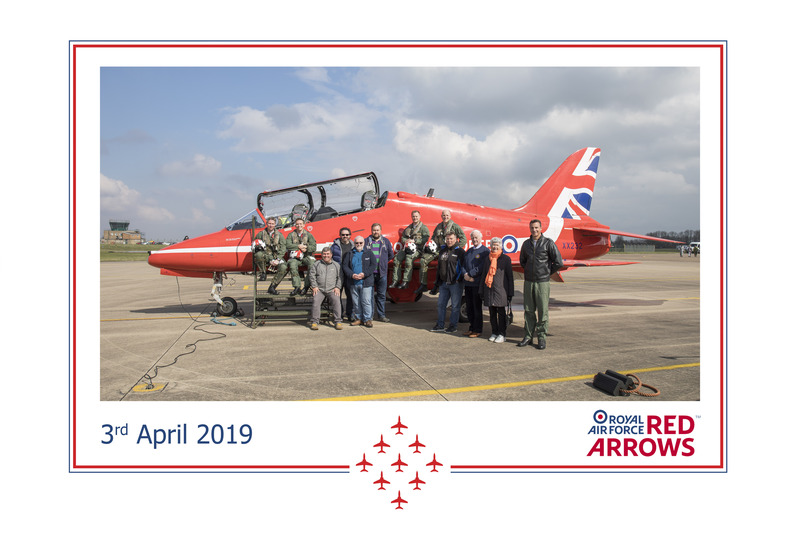 Guests attending were the Station Commander, Group Captain Blythe Crawford with his wife Sally, Station Warrent Officer Andrew Beattie, as well as our FLAG Officer Flt Lt James Harris and our Leeming year host Fg Off Matt Magee. Following another excellent lunch we were given a fascinating talk by Flt Lt Chris Fawcett about his experiences on Expedition Himalayan 2018. Our thanks to all at RAF Leeming who made the event such a success. Further photos are on our Lee Zone 1 page. 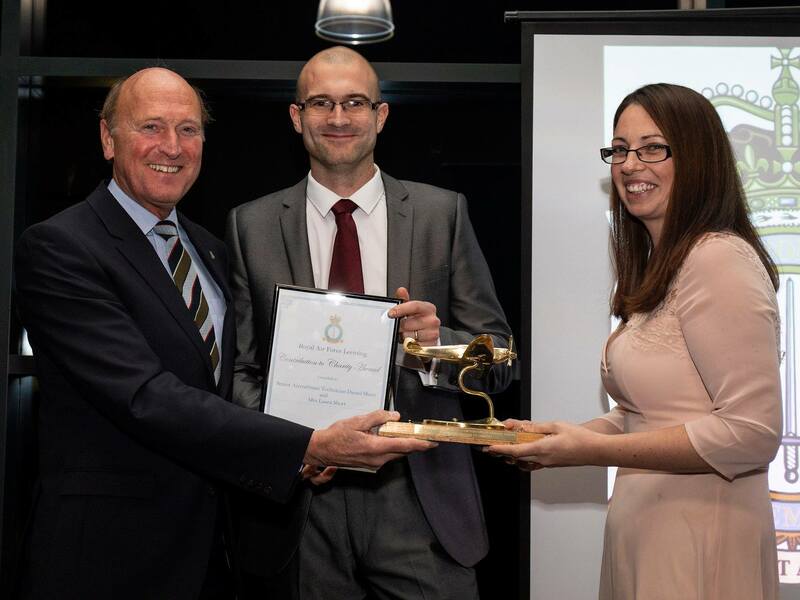 Once again in the annual November Awards FLAG was proud to sponsor the Charity Award represented by the "Spitfire Trophy". October saw our second Leeming visit which included an ATC tour and access to 100 Squadron Hanger with "Red and Black Hawks". Is the future? This "Reds Hawk" presented members with a great photo opportunity amongst the "Boneyard jets". 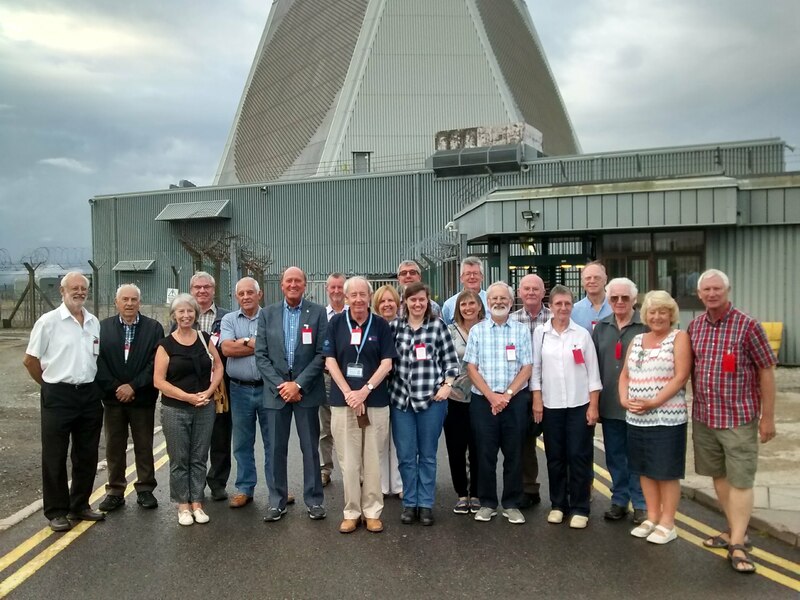 Our second visit of the year was to RAF Fylingdales on the North York Moors where members were given a briefing on the role of the station followed by a tour of the Ops Room. Our thanks to Flt Lt Richie Weeks and everyone at Fylingdales for making us so welcome. Our first visit of the year was a rescheduling of our planned March visit when the snowy weather conspired to close RAF Leeming entirely. April saw much better conditions and allowed a very busy schedule of activities during our three and a half hours tour of the station. First on our schedule was a visit to 34 Squadron, RAF Regiment, who put on an excellent display of their kit, including both weapons and vehicles as used on operations. Members had the opportunity to handle different weapons which included Glock pistols, SA80 rifles and even the old but still very effective 50 cal heavy machine gun. Our thanks to all he guys who explained how everything worked and answered questions about the role of the squadron. 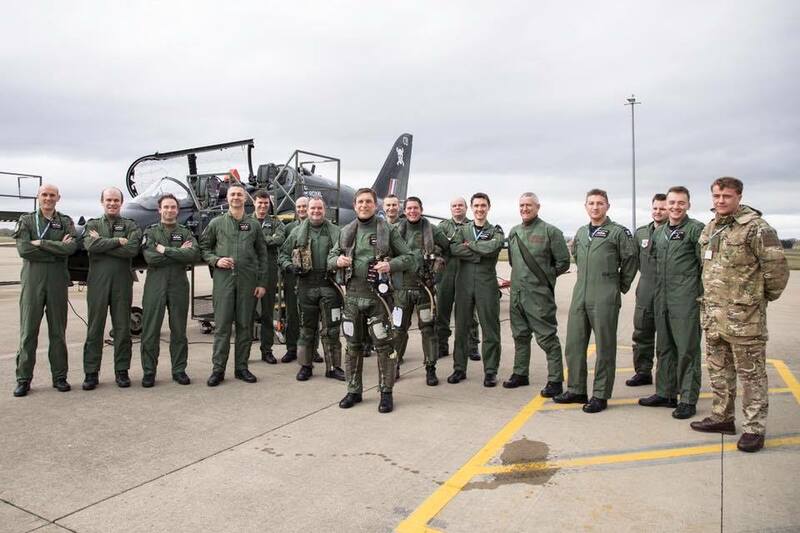 Moving across the station to 100 Squadron, our host officer gave a briefing and video presentation on the role of 100 Squadron at Leeming before we looked at Hawks close up in the hanger and on the very active flightline. Our next stop was to the Fire Section where we had the opportunity to examine their vehicles and emergency equipment before walking the short distance to the hanger of Northumbria UAS/11 AEF to look at their Grob training aircraft. A particular bonus for our photographer members was that the hanger was also storing Tornado GR aircraft awaiting their fate at the hands of the RTP. An impressive line up of aircraft but rather sad ! After over three hours of non stop activity we said our farewells and thanks to all those at Leeming who had been so very welcoming. A really good visit with which to start the FLAG year. FLAG is delighted to announce that AVM Phil Roser has agreed to become the first President of Friends of Leeming Aviation Group. 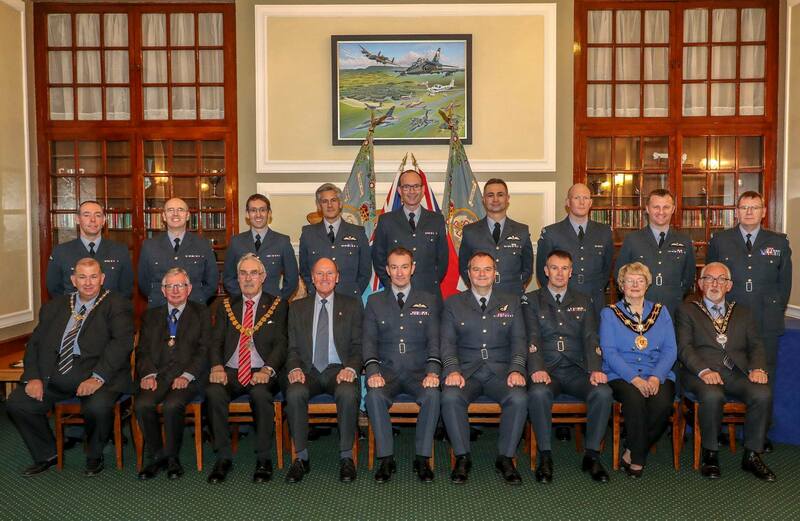 The appointment of Phil Roser as President of FLAG in 2015 is particularly appropriate as it is exactly 25 years since Friends of Leeming was established as a result of his initiative when Station Commander at RAF Leeming. Our thanks to Phil for his acceptance. AVM Phil Roser joined the Royal Air Force in 1966 as a cadet at the RAF College Cranwell. After flying training he did tours with seven fighter squadrons, flying the Lightning, Phantom and Tornado F3 all in the air defence role. 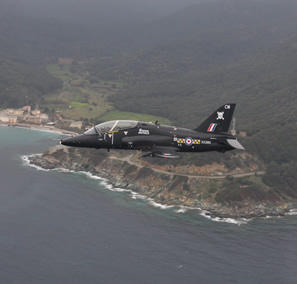 Operational missions included QRA in Germany, Cyprus and the UK and patrolling the NATO No-Fly Zone over the Former Yugoslavia when he was the first RAF detachment commander in southern Italy. He was a weapons instructor on the Lightining before becoming the C. O. of No 111 (F) Squadron at RAF Leuchars. 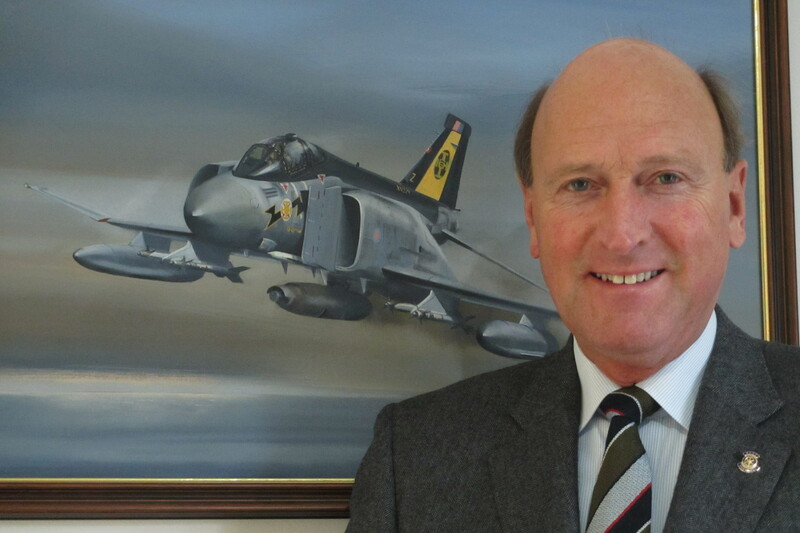 The painting shows his personal F4 Phantom painted for the 70th anniversary of 111 Squadron in 1987. 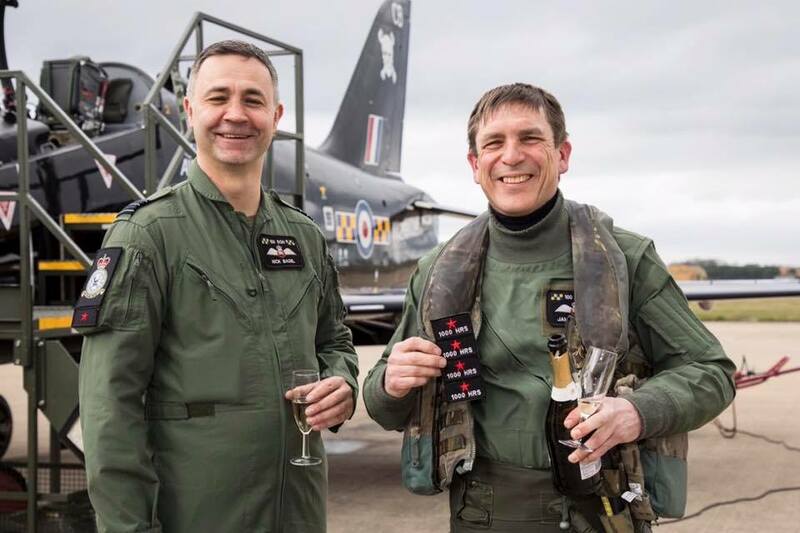 Phil then become Station Commander at RAF Leeming when it operated the F3 Wing as well as RAF Regiment, UAS, an Army unit and much more. Despite his heavy operational duties he found time to establish FOL for which we are eternally grateful. 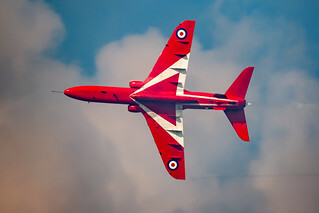 In addition to flying fast jets, as a graduate of the RAF Advanced Staff College and the Royal College of Defence Studies, Phil has undertaken many desk tours during his career with the RAF. He has served both at HQ Strike Command and the Ministry of Defence, including at the latter as Military Assistant to the Minister for the Armed Forces. The final ten years of his thirty seven service saw a number of postings in the international field. These included being the UK Liason Officer to United States European Command in Stuttgart, senior airman in the NATO Stabilisation Force HQ in Sarajevo and Deputy UK Military Representative to the NATO Military Committee in Brussels. His final post was Chairman of the Senior Directing Staff of the Royal College of Defence Studies in London. During these three and a half years he was also Chairman of the Royal Air Force Club in Piccadilly and a Trustee of the Royal Air Forces Benevolent Fund. Phil was awarded the MBE in 1983 and was made a Companion of the Most Honourable Order of the Bath in 2003, retiring in that year before moving to North Yorkshire with Andrea his wife. Both are active locally in community events such as Rotary and also leading monthly walks in North York Moors, the Yorkshire Dales and the Lake District. 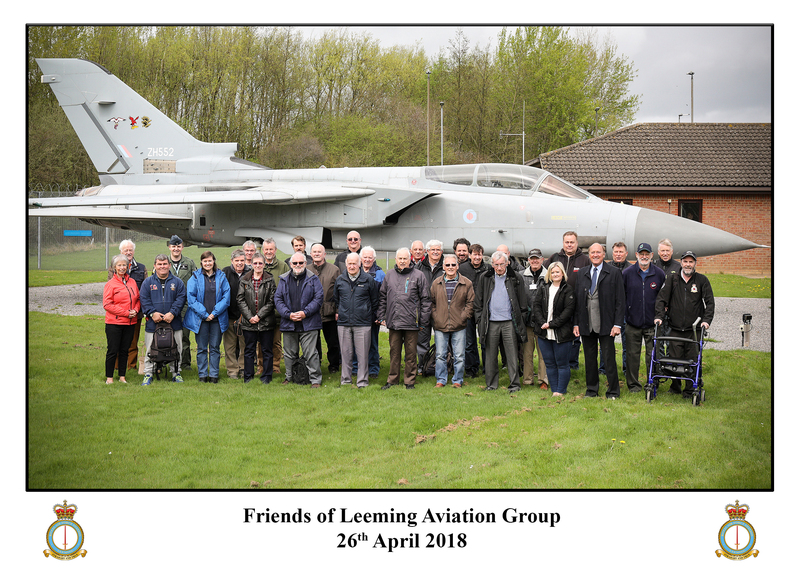 Friends of Leeming Aviation Group (FLAG) was formed on the 1st of April ,1998 from an amalgamation of Friends of Leeming (FOL) and Leeming Aviation Group (LAG). 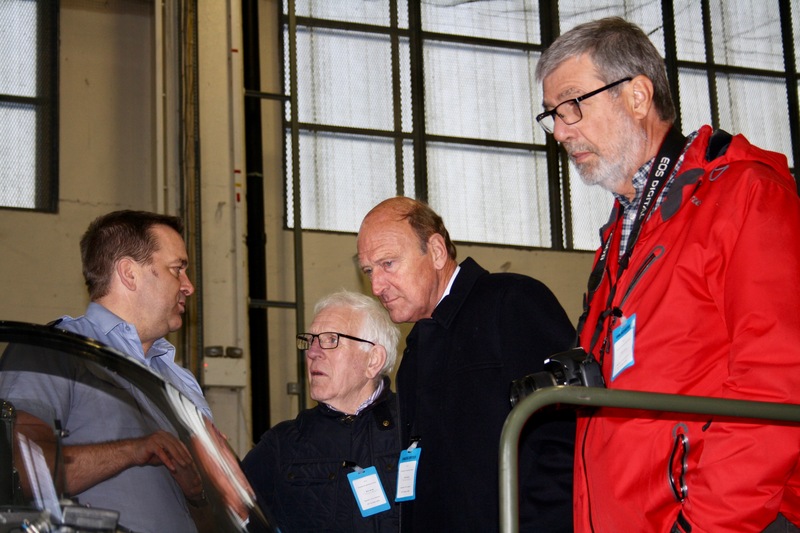 Both groups were interested in RAF Leeming with some diverse and some common interests. FOL was formed in 1990 on the initiative of the station commander Group Captain P.W.Roser. It was mainly aimed at the local community but was open to anyone with an interest in RAF Leeming. Regular station visits were offered along with special facilities for members at the annual air day. 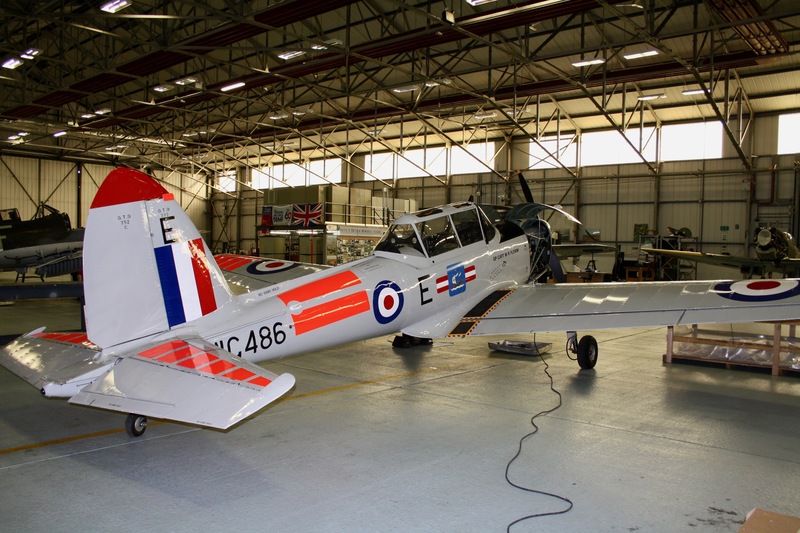 A quarterly newsletter gave an insight into life at Leeming. 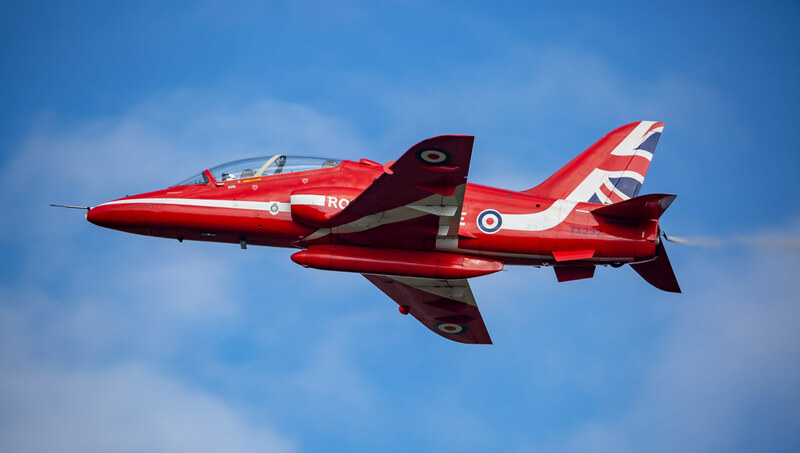 LAG was formed in 1994 by local aircraft enthusiasts whose focus was on aircraft movements rather than life at RAF Leeming. 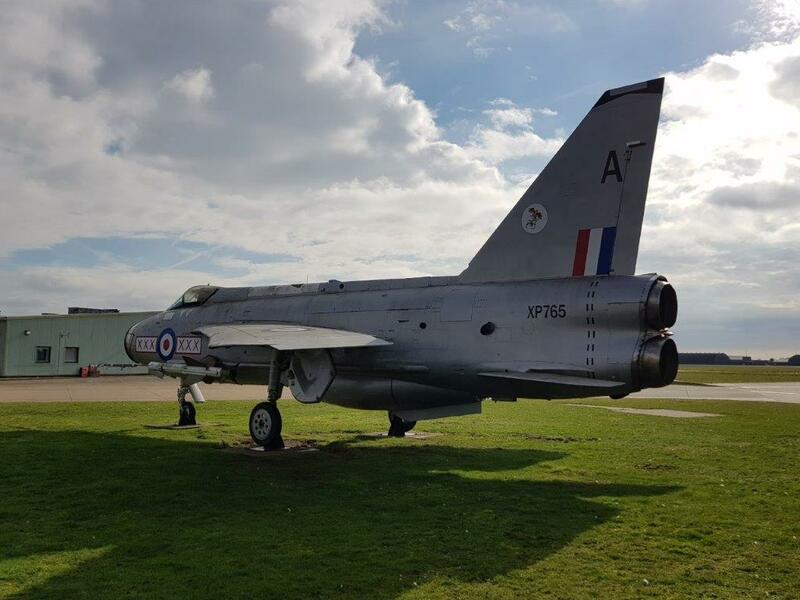 A monthly newsletter was published detailing movements at Leeming and beyond. 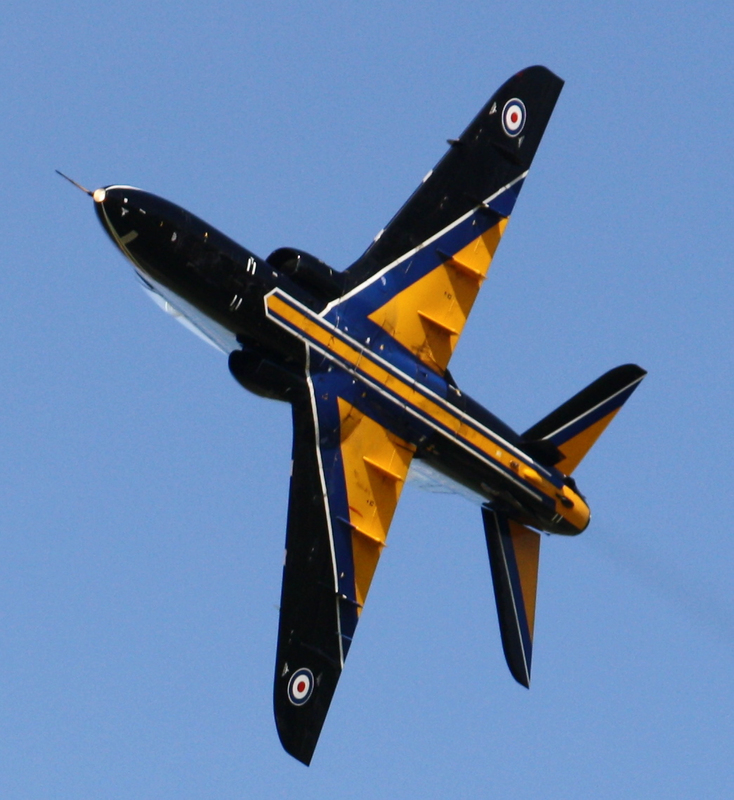 Later, visits to airshows in the UK and Europe were added to the group's activities. By the end of 1997 both groups saw the benefits of having a single group linked to RAF Leeming and FLAG was formed.